An old monk told him this sentence when he was an adolescent and this upset all the doubts young Deshimaru had on Buddhism, paradise and hell. He understood at that moment that it was the present existence which was the bearer of divinity and not an outdated past or an unpredictable future. Educated in a traditional way by his family, a child of the start of the 20th century – he was born in 1914 – he lived intensely the youth’s existential questions of his time. At 18 he has a first encounter with Master Kodo Sawaki, a friend of the family, who would become his master during all his life. When his search becomes more essential, he meets again the Zen master, who teaches him the posture of Zazen and lends to him his note diary. He finds a non-intellectual way of thinking that surprises him by its simplicity and its deep wisdom about life. Kodo Sawaki becomes his master, his guide, not only in the way of Zen but also in front of the good or bad circumstances of his existence. When the 2nd World War is declared, Deshimaru gets away from army conscription because of his short-sightedness. However, the company for whom he works sends him to south eastern Asia. To reach Sumatra his boat, accompanied by Japanese war ships, has to cross the seas monitored by the American air force. The journey becomes hell. One after another, the boats are attacked. In in the face of danger, Deshimaru finds no other alternative than to sit in zazen; Zazen on top of dynamite cases which were part of the cargo’s ship. Finally, the boat safely reaches Sumatra, where he will spend the last years of the conflict that shook the occidental and oriental worlds. In 1965 Kodo Sawaki is gravely ill. He calls him to his deathbed and offers him the monk’s ordination and his Transmission to diffuse Zen teaching. He gave him his Kesa, his notebook, his zafu and a monk’s name: Mokudo Taisen, which is translated as “Great Sage of the Silent Hall”. The initial time was difficult. He lived in the basement of an ecological shop, he practiced Zazen alone and gave shiatsu massages. He started to give conferences in his “broken English” and, little by little, one, two, five, ten, a hundred disciples came to practice with him. He would travel all over France: he gave conferences, directed retreats – Sesshin – and more disciples came, a thousand, two thousand. 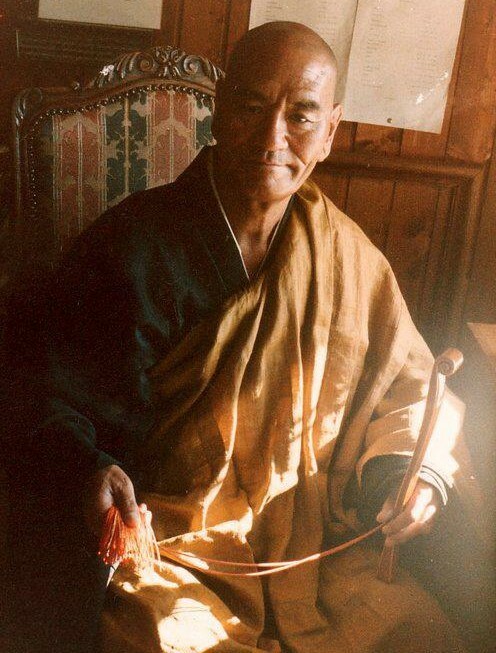 At the end of the seventies, he bought a terrain and founded the first Zen temple of the occidental world, La Gendronnière, where the sesshin would gather disciples of many nationalities. Unfortunately, he could not enjoy for long this temple which he loved; a cancer took him away in May 1982.